Considering a career move into litigation support? 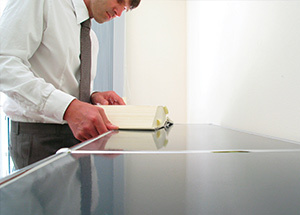 Trial attorneys will welcome your investigative skills. But they need fraud examiners who also can clearly communicate in report writing or on the witness stand. Everyone in a fraud trial plays an important role. Those alleging wrongdoing, those accused of it, legal counsel and those adjudicating the dispute all are essential to the judicial process. And so are the technical specialists — fraud examiners, forensic accountants and others — who impartially dissect, interpret and explain the intricacies of complex schemes. Without the unbiased analysis and commentary that specialists provide, confusion and mistaken belief would hinder the court's ability to administer justice. This article explores the challenges litigation support presents and how a dedicated CFE — with the right training and experience — can provide the factual information and technical insights courts need to reach just and well-informed verdicts. Investigate confirmed or alleged fraud. Produce a written report of their investigative findings. 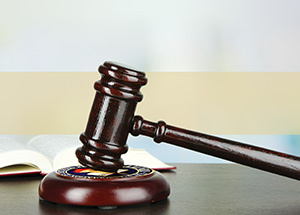 Serve as a testifying expert (also known as an expert witness) or as a consulting expert. A testifying expert takes the witness stand during a trial and answers questions from both lawyers and, if necessary, also from the judge. This expert has specialized technical experience and training that qualify him or her to offer a professional opinion on complex factual matters at issue in fraud litigation. A consulting expert is equally qualified and provides the same kind of technical advice but only to the side that engaged him; a consulting expert doesn't testify. Fraud examiners often serve as both kinds of expert. But, because of attorney-client privilege factors as explained in "Law 101 for CFEs" (see sidebar below), they don't perform those roles simultaneously. Fraud Magazine spoke with two veteran trial participants — a CFE testifying/consulting expert and an attorney who engages such specialists — about the skills you need and roles you can play to support a litigation team. Bruce Dubinsky, CFE, CPA, CVA, is chairman of the ACFE Board of Regents and global leader of the forensic services practice at Duff & Phelps LLC, a valuation and corporate advisory firm headquartered in New York. The three most important factors in litigation support are preparation, preparation and preparation," Dubinsky says. "That applies to everything I do for my clients, from conducting investigations to writing reports to providing testimony." John Lauro, an attorney and former federal prosecutor, is principal and founder of the Lauro Law Firm, a private practice with offices in New York and Tampa, Florida. He often engages Dubinsky and other fraud examiners to support him in litigation. "My white-collar crime practice is wide-ranging," Lauro says. "I might work on a health care case one day and a securities case the next. So I rely on testifying and consulting experts from many different fields." Lauro first engaged Dubinsky in 2005 as his testifying expert in a federal securities fraud case. Lauro's client, the president of a public company that sold business software, had allegedly used convoluted fraudulent accounting transactions to inflate revenue. Lauro had retained Dubinsky to refute anticipated testimony from an expert scheduled to testify for the government. But when the government decided not to call its expert to the stand, there was no need for Dubinsky to testify. Nevertheless, Lauro asked Dubinsky to remain on the case and become his consulting expert. That decision proved pivotal. While the jury deliberated, Dubinsky continued to analyze the evidence. Soon, the verdict came in: The jury had found Lauro's client guilty. But that wasn't the trial's final result. Lauro, guided by Dubinsky's further analysis, then proved beyond a reasonable doubt that the government hadn't filed its charges until after the five-year statute of limitations had passed — relative to the defendant's phony accounting transactions. Accordingly, the judge set aside the jury's guilty verdict and acquitted Lauro's client of the charges. "The government had misinterpreted the timing of key transactions," Lauro said. "Bruce helped me understand all the facts so that I could prepare a fully informed defense that ultimately prevailed." In doing so, Dubinsky demonstrated how — even without testifying — an expert can profoundly affect the outcome of a trial. Three key factors greatly influence how well and ethically CFEs discharge their duties when providing litigation support. 1) Independence. "As an expert, my job isn't to win the case for my client," says Dubinsky. "It's to perform a thorough, objective investigation and reach conclusions that the evidence I found supports. I'm an advocate only for my opinions and conclusions, not for any legal finding or for either side. I don't express opinions regarding the guilt or innocence of any person or party; that's the job of the judge or jury." Lauro agrees. "An expert should formulate his opinions independently, and his testimony should never be scripted." Other attributes Lauro values in an expert are advanced subject matter proficiency; the ability to absorb and explain voluminous complex material in terms that judges, jurors and counsel can easily understand; and the skill and tenacity to defend one's independent opinion under intense cross-examination by opposing counsel. 2) Credibility. 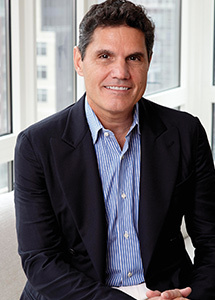 "An expert's most valuable asset is his credibility, and appearances do matter," Lauro says. "Every time I take the stand, the judge and jury visually assess me," Dubinsky adds. "How do I carry myself? Do I seem confident?" "They notice your facial expressions, nervous tics — everything," Lauro continues. "When you take the stand, you're on trial as much as the defendant is." Dubinsky says the biggest mistake an expert can make is to argue with opposing counsel during cross-examination. "If you don't know the answer to a question, admit it," Lauro says. "Your counsel will work with you on re-direct to refute any assertion by opposing counsel that you did a sloppy or incomplete job." 3) Preparation. "It's costly to prepare properly," Dubinsky says. "But if you don't, you'll pay the price in court. Clients have to understand and accept that." He begins by thoroughly reviewing his investigative report, all its supporting documentation and his answers to any difficult questions he expects to face. "I do this both alone and with a colleague from my firm, who plays devil's advocate," Dubinsky says. "It's time-consuming, but essential to my credibility." Dubinsky then discusses the case and practices his testimony with the prosecutor or attorney who engaged him. This includes participating in mock direct and cross-examinations. "Even though I've testified in nearly 50 trials, it still helps to practice," he says. "You learn how the lawyer you're working with will question you, and you become accustomed to his style. You also get a sense of how well you understand the facts in the case and your opinions about them." "That goes for both of us," Lauro says. "The lawyer needs to understand the technical material well enough to properly question the expert. When a case involves matters I don't know much about, I take classes in them to ensure I understand the expert's opinion," he adds. "Your investigative report should include only your opinions and conclusions and the facts supporting them — nothing more," Dubinsky says, adding that a picture is often worth a thousand words. "I use diagrams, graphical timelines and process flowcharts wherever feasible." 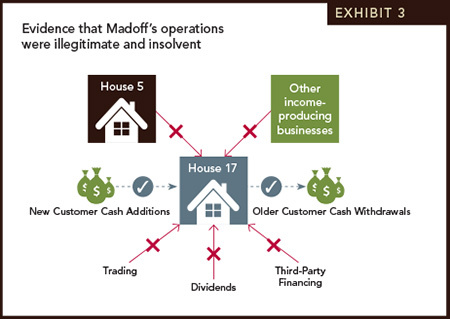 For example, three illustrations (see exhibits 1, 2 and 3 at right) from Dubinsky's investigative report for the Madoff trial concisely communicated the context and substance of his findings. 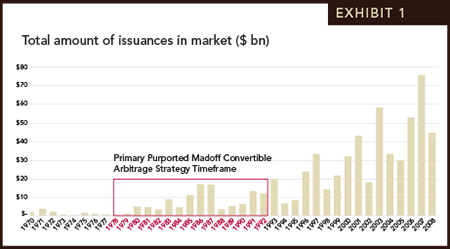 This enabled users of the report to quickly understand exactly what Dubinsky's investigation had revealed about the financial environment in which Madoff orchestrated his fraud and how the absence of legitimate income proved Madoff's firm was a Ponzi scheme. Irving Picard, the Madoff trustee, filed civil suits in the Southern District of New York against many people — five of whom the U.S. Department of Justice also charged criminally. Picard, in arranging technical support for his civil litigation, engaged Dubinsky as an investigator and testifying expert. Not much later, Preet Bharara, the U.S. attorney, after reading the report Dubinsky wrote for the civil case, engaged him to testify about it in the criminal trial. During four days on the stand, Dubinsky underwent direct examination by Assistant U.S. Attorney John Zack, cross-examination by counsel for the defendants and redirect examination by Zack. The criminal trial ran from October 2013 until March 2014, when the jury found all five defendants guilty. 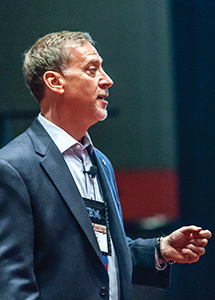 After beginning his career as a CPA and auditor, Dubinsky earned a master's degree in taxation from an academic program whose teachers also lectured to graduate students of law. With an advanced credential and a better understanding of legal theory and practice, Dubinsky then focused on providing tax services while beginning to perform forensic analysis for law firms. Eventually, his well-informed work for lawyers expanded into service as their testifying expert. 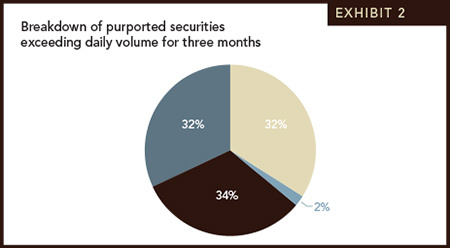 "Almost all frauds CFEs encounter are financial," Dubinsky says. "So, to enter the litigation support field, you have to understand how businesses function in general and how they work in the industry you're investigating and want to be engaged to testify about." Of course, the greatest challenge for CFEs eager to enter the litigation support arena is obtaining their first few engagements. "Plenty of lawyers need expert support in the numerous smaller fraud cases they're handling," Dubinsky says. "These are good opportunities for CFEs to gain general experience and learn how to operate at both federal and state levels." For CFEs who aren't CPAs and want to broaden their expertise, Dubinsky recommends looking into the growing number of graduate-level forensic accounting programs whose prerequisites don't include a bachelor's degree in accounting. Litigation support is a rewarding career, but only the hardy and determined need apply. To find out more, explore the materials and events in this article's Resources section at left. No matter which career path you choose, the collective knowledge and camaraderie of enthusiastic colleagues will help propel you forward. So set time aside for professional networking, and keep an open mind about the courses you choose. Continuing education is more than a way of keeping your current skills up-to-date. It's also a golden opportunity to develop new and fascinating professional abilities. To provide any form of litigation support, CFEs must clearly understand certain legal fundamentals. These include knowing what acts or omissions fraud-related offenses comprise and how to gather and preserve relevant evidence so that flaws in collection or storage don't make it inadmissible in court. Further, because clients can inadvertently compromise evidence — especially when it's electronic — CFEs also must be prepared to educate and guide them on safeguarding its integrity. "CFEs not licensed to practice law should never offer legal advice," says ACFE Vice President of Education John Gill, J.D., CFE. "Be particularly cautious about this when working with small organizations that don't have in-house counsel. They're the ones most likely to seek legal guidance from you, even if you aren't authorized to provide it." Gill recommends that CFEs first determine what evidence, if any, there is of fraud and explain to the client whether it constitutes the level of proof necessary to prevail in court. "Once you've done that," Gill says, "it's up to the client to consult an attorney or contact a prosecutor for legal guidance." As part of their general preparation for obtaining engagements, CFEs must understand the difference between criminal and civil cases. Because criminal charges, if proven, can result in imprisonment or worse, the prosecution must prove its case beyond a reasonable doubt. For civil complaints — which if sustained lead to less serious penalties — the plaintiff must prove that the defendant is more likely guilty than innocent. "The burden of proof and other legal elements of civil trials differ from those of criminal proceedings," Dubinsky says. "But those differences shouldn't affect how a CFE conducts an investigation or what he says in an investigative report or testimony. It's up to the lawyers to apply that information in whatever way is appropriate for each type of trial and judicial venue." In direct examination, the attorney who called a witness questions him or her to bring forth evidence supporting that attorney's interpretation of the matter in dispute. In cross-examination, opposing counsel questions that same witness — but only about issues raised during direct examination. In this phase, opposing counsel seeks to elicit evidence that supports its own interpretation of the case. Last, in redirect examination, the witness' counsel seeks to reinforce its own interpretation of the evidence and counter any points opposing counsel made during cross-examination. When an attorney engages a fraud examiner as a consulting expert, that person's work and communications with him are protected by the attorney-client privilege, which means that no one else, including the opposition, has a legal right to see them. In contrast, an attorney's work and communications with a testifying expert do not have that privilege and are discoverable by the opposition. "I fully inform a testifying expert of the case's facts and circumstances," Lauro says, "but I don't discuss litigation strategy or tactics with him or her."